Phonak's new Marvel platform features all of Phonak's cutting edge technologies integrated into one cohesive system. Running AutoSense OS 3.0, the newest generation of Phonak's proprietary technology, the Marvel is able to automatically adapt to match your specific listening situation. Improvements in the AutoSense OS means the Marvel can recognize and automatically adapt to match more listening situations than ever before. The Marvel continues to work with top rated peripherals and other technology to allow for seamless integration into your life including Android & iOS/Apple smartphone connectivity, AirStream TV streaming connection, Phonak Roger wireless receiver, and Lithium-ion rechargeable batteries. The next generation hearing aid platform, Audeo Belong, includes pioneering lithium-ion rechargeable battery technology. 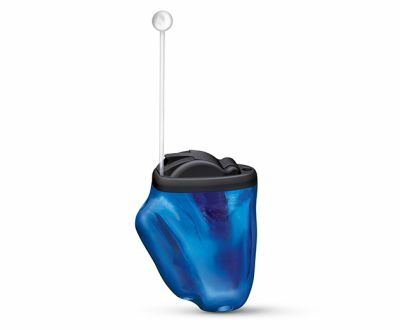 Specially designed to empower people with hearing loss to keep up with their lifestyles, the new AudÃ©o B Receiver-in-Canal (RIC) come in a new design and will be available in 4 performance levels and 9 colors. 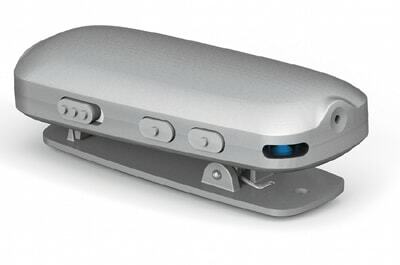 Quick Charge: Gives six hours of immediate use in only 30-minues of charge time. Sound Recover 2: Improved algorithms offer even better hearing performance in everyday listening situations. The new Phonak Bolero V hearing aids incorporate high-performance Venture technology in an aesthetically appealing design combined with reliability and ease of use. Ask us about the water resistant Phonak Bolero V. This product is water, sweat, moisture and dust resistant. 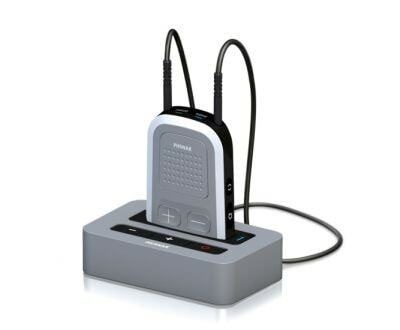 Phonak Bolero V is compatible with the Phonak wireless communication portfolio. With the perfect balance between performance and cosmetic appeal, the Virto V ranges from small to invisible, and comes with a host of features that can be set to your individual needs. 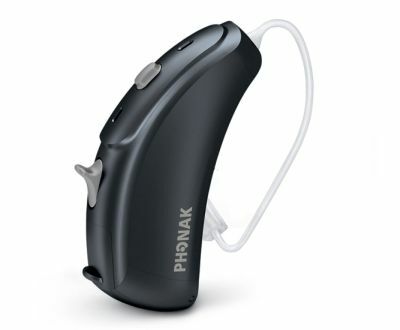 The Virto V is also compatible with the Phonak wireless accessories. Speech in Wind: Helps you to understand speech well, even when wind noise interferes with speech understanding. Auto StereoZoom: When in a noisy environment, StereoZoom is automatically activated, allowing you to focus on the voice you want to hear. 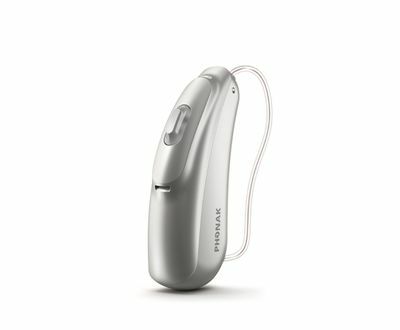 CROS II features state-of-the-art Phonak Venture technology. 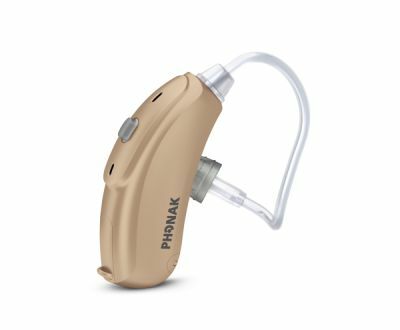 It's the latest generation chip, which makes hearing easier than ever before and brings endless possibilities. CROS II automatically detects what listening situation you are in and switches to the best possible setting. You'll forget you're wearing it. Phonak ComPilot II is your perfect companion, offering true convenience, wireless freedom and the reassurance of VoiceAlerts. Compilot provides easy wireless access to TVs, MP3 players and phones to name but a few. The built-in remote control is designed for ease of use with convenient program and volume changes. 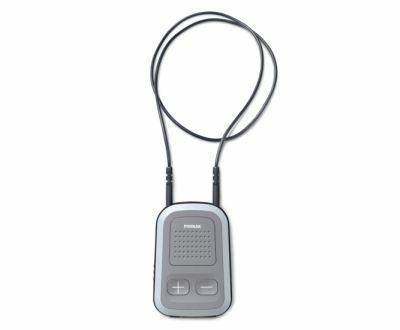 Phonak RemoteMic is a Bluetooth-based wireless microphone compatible with ComPilot. It is clipped onto the speakers clothing and sends the speech to the hearing aids via ComPilot. The one-to-one conversation is easy even when looking around or at larger distance. Phonak TVLink S is a dedicated TV solution. Combined with the ComPilot, the TVLink S streams TV audio directly to your hearing device. The extremely fast transmission from your TV to your hearing aids in stereo provides excellent sound quality. Plus, its easy one-step set-up means that the TVLink S and ComPilot are ready to go in less than 60 seconds! 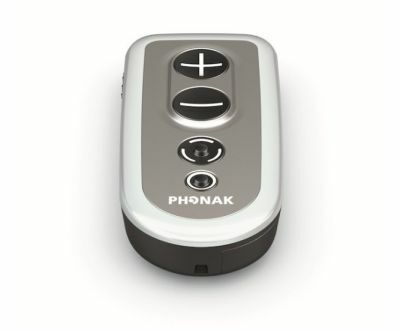 The Phonak Pilot One remote control was designed for maximum impact, ease of use and discretion. 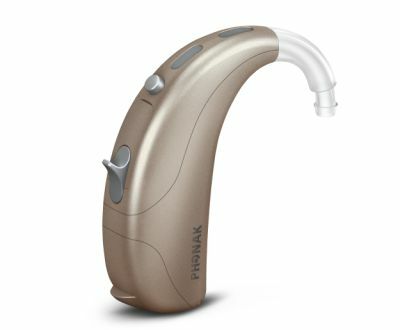 Its clever simplicity and ergonomic design make it totally user-friendly and allowing you to manage the volume and program settings of your hearing aids.